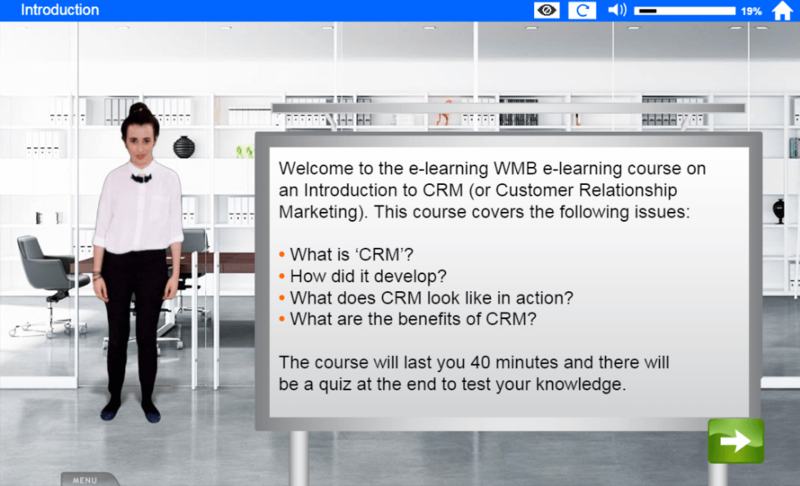 "This CRM (or Customer Relationship Marketing) e-learning covers the definition of CRM and how it developed over time. Examples of CRM in action illustrate the benefits of an effective CRM system.". What does CRM look like in action?